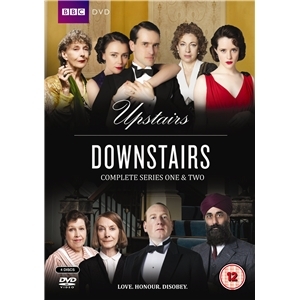 “Upstairs Downstairs” follows the comings and goings of Sir Hallam Holland, a young British diplomat, and his wife, Lady Agnes. The Hollands have just returned to London after living abroad and are settling into their inherited townhouse at 165 Eaton Place. 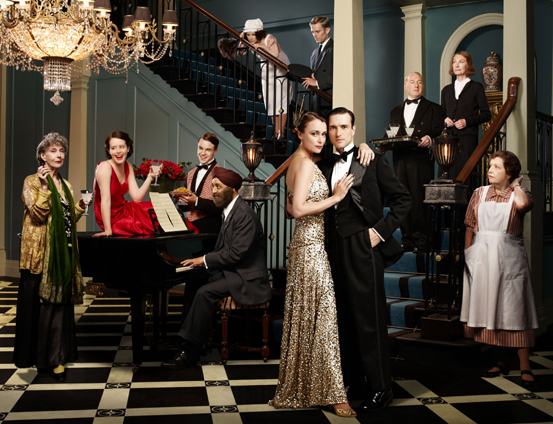 The first episode – set in 1936 – is focused on Lady Agnes’ venture to hire staff for her once grand, now dilapidated, home. Meanwhile, two family members surprisingly arrive, both expecting to take up residence with the young couple. As the name of the show suggests, the lives of the staff working downstairs are just as fascinating as those of the family living upstairs. Several of them have mysterious pasts that are uncovered throughout the course of the series. There’s some romance, some bickering between co-workers, and lots of familial affection among this collection of misfits. The time period – the late 1930s – was a frightening and stressful one for citizens in Great Britain. Their king had just died and his reluctant heir would eventually end up abdicating. The political tensions with Germany, Italy and Russia were building. Our main character, Sir Hallam, is a diplomat and a personal friend of the king’s youngest brother, the Duke of Kent. Sir Hallam’s work and personal alliances place him in the midst of both national crises. 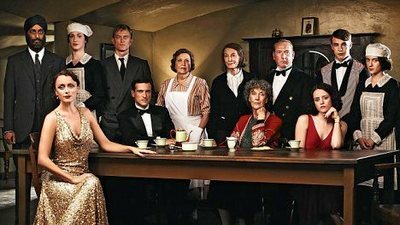 It seems that “Upstairs Downstairs” lost the TV ratings war for its time slot and wasn’t renewed for season 3. So watch sparingly. It you do an episode per week, it should just about carry you through until the new year, when Downton Abbey will be back on PBS. Happy viewing! It’s too bad this show was canceled. I loved it!